Imagine an island oasis where bright blue skies, a shimmering golden sand beach and an abundance of tropical blooms create a lush vibrant retreat for all. Fairmont Kea Lani is this very special place, and we look forward to welcoming you with aloha to our oceanfront paradise. 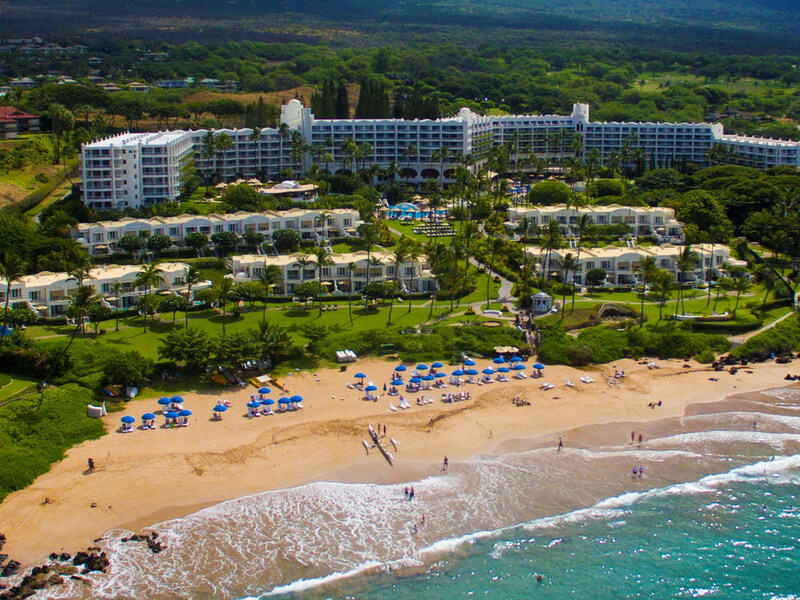 Experience the Hawaii vacation of your dreams on Maui's coveted Wailea coast at our all-suite and villa luxury resort and spa. Spacious suites with large private lanais. Luxury beach villas. Spectacular ocean and sunset views. Hawaiian Canoe Experience. Keiki Lani Kids Club. Award-winning Willow Stream Spa. Award-winning Ko restaurant. LUANA events and entertainment. Experience luxury Wailea hotel accommodations with spectacular ocean and sunset views at Fairmont Kea Lani, Maui. Relax and enjoy the additional space and privacy of our family friendly suites and luxury beach villas. Ko restaurant is the only fine dining restaurant on Maui to offer cuisine inspired by Hawaii's sugarcane plantation era. Ko features island recipes and includes farm-fresh Hawaiian, Chinese, Filipino, Portuguese, Korean, and Japanese menu items. Nick's Fishmarket-Maui is one of Maui's premier seafood restaurants offering the Island's freshest fish. It features a 2,000-bottle wine cellar. Known for attentive service, Nick's Fishmarket-Maui offers outdoor seating and a private dining room. AMA Bar & Grill offers a taste of Hawai'i's modern canoe lifestyle, featuring everything from contemporary poke bowls to plate lunch specials in a relaxed, outdoor and social atmosphere. Enjoy expansive ocean views. Breakfast is served daily in this beautiful poolside restaurant. A full breakfast buffet with omelette station is available in additon to a la carte menu selections. Makana (gift), is a gourmet marketplace, offering coffees such as nitro cold-brew and pour-over plus Lot35 teas. Indulge in house-crafted pastries, sandwiches, salads and pizzas. 'Pang's Poke' offers the freshest line-caught fish from Hawai'i waters. Craft and Tiki meet up with the sunset nightly to create an exotic and unrivaled cocktail bar setting at LUANA. Pull up the best seat in the house and enjoy a taste of Hawai'i's modern culture.